“Radical Islamic Groups in Central Asia and their External Contacts,” in: Central Asia and the Northern Caucasus: Salafis, Shi’ites, and Jihadists, al-Mesbar Studies and Research Center, Dubai, 2014, pp. 105-126 (Arabic language). 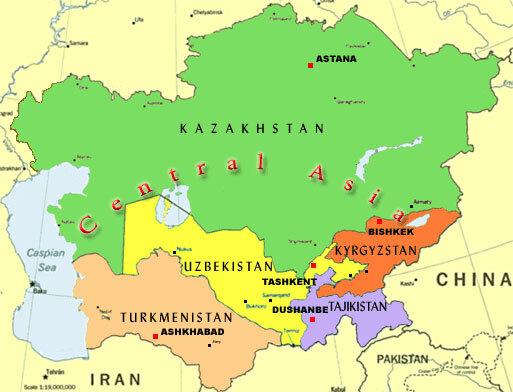 The Islamist movement in Central Asia has its modern origins in the post-Soviet environment of Central Asia’s Ferghana Valley, a traditional cultural and economic meeting point now divided by the national borders of Uzbekistan, Kyrgyzstan and Tajikistan. A growing youth population, high unemployment rates and stagnant economic conditions have created conditions in the Ferghana usually associated with the growth of Islamist militancy, but effective (though heavy-handed) security measures and a general lack of resonance for the Islamist project means the region has avoided the massive sectarian clashes predicted after the emergence of the Islamic Movement of Uzbekistan (IMU)  and its predecessors in the 1990s. Salafist Islam and Islamist militancy initially made inroads in Central Asia in the dying days of the Soviet empire as residents of the region began to explore their Islamic heritage in the interests of reasserting local identities in a post-Soviet and possibly post-secular world. Scholarships to Salafist religious/educational institutions helped introduce reformist Islam to Central Asia through the medium of its own young scholars. However, conditions have changed since the days when Central Asia emerged from seven decades of official atheism and the militants’ message does not seem to have the same penetration it once did, even in the face of continued drivers of radicalism such as poverty, lack of access to education and authoritarian repression. Adolat, the predecessor to the IMU, established Shari’a law under the direction of the late Tahir Yuldash (formerly Yuldashev; a.k.a. Muhammad Tahir Faruq; 1967 – 2009) in the town of Namangan in the Uzbek part of the Ferghana Valley in 1991. Adolat was eventually repressed by the Uzbekistan government, but Yuldash and several other prominent members escaped to Taliban-ruled Afghanistan, where they formed the Islamic Movement of Uzbekistan as a means of expelling the regime of Islam Karimov and founding an Islamic Caliphate that would eventually spread throughout the ex-Soviet republics of Central Asia. There are reports that Yuldash travelled throughout the Gulf region in the 1990s, establishing funding conduits with sympathetic groups and individuals, including the Uzbek diaspora in Saudi Arabia, formed from survivors of the 1918-1928 anti-Soviet Basmachi Rebellion in Central Asia. Yuldash also travelled to Turkey and Pakistan, attempting to gain the financial and material support of the intelligence services of those nations. Pakistan’s Inter-Services Intelligence (ISI) is believed to have responded favorably to the IMU commander’s overtures. The strong Saudi influence on the IMU appears to have had its origins in Tahir Yuldashev’s religious training and fundraising activities in the Kingdom. A unit of roughly 100 to 200 IMU fighters under the leadership of commander Juma Namangani (a.k.a. Jumaboy Ahmadjonovich Hojiyev, a reputed former Soviet paratrooper in the Soviet war in Afghanistan) gained military experience fighting alongside Islamist factions in the Tajikistan civil war (1992-97) but found no place for the movement in the negotiated settlement of 1997, leading the movement to shift to bases in Afghanistan under the sponsorship of the Taliban. From there, the IMU launched its 1999-2000 campaign in Tajikistan and Kyrgyzstan which ultimately failed to achieve its goal of entering Uzbekistan and deposing President Karimov (the movement was also targeting the rulers of Kyrgyzstan at this point). Though the campaign was largely restricted to small-scale attacks and hostage-taking (including the commander of Kyrgyzstan’s Interior Ministry), the militants’ apparent better training and equipment reduced national security forces to chasing the group around the mountains and briefly caused alarm in regional capitals. The movement proclaimed its allegiance to Mullah Omar and the Taliban when the U.S.-led alliance invaded Afghanistan in late 2001. The IMU suffered a severe blow when Juma Namangani, its military leader and the architect of its surprising if ultimately multi-nation Central Asian campaign, was killed during an American bombing of pro-Taliban positions in Kunduz. In an operational sense, the IMU never recovered from the death of Namangani, their unchallenged military commander. With his death passed the time when the movement could mount large operations that created serious concern in the capitals of the Central Asian republics. Under military pressure from the U.S. and its allies, the IMU left for the Federally Administered Tribal Areas (FATA) of Afghanistan in 2001, establishing themselves in the Wana region of South Waziristan. Having escaped the U.S.-Northern Alliance offensive in Afghanistan, the movement took refuge in the Wana regin of South Waziristan, where they enjoyed the protection of local warlord Maulvi Nazir and the Ahmadzai Wazir until 2007, when they were expelled for offending local customs and behaving like “occupiers.”  The movement then intensified its alliance with a new patron from the Mahsudi rivals of the Ahmadzai Wazir, Tehrik-e-Taliban Pakistan (TTP) leader Baitullah Mehsud, though some fighters appear to have joined the Taliban in Afghanistan or to have joined previous waves of disillusioned fighters in making a stealthy return home. During their residency in north-western Pakistan, many of the original members of the movement established successful farms and businesses as well as integrating into the local community through intermarriage. The IMU’s last confirmed operations of any significance in Central Asia occurred in 2004. The movement has claimed responsibility for attacks in Uzbekistan and Kyrgyzstan in 2009-2010, but these claims seem more likely to have been an attempt to reassert some relevance for the movement in Central Asia. While based in FATA, the IMU developed strong ties with TTP leader Baitullah Mehsud (killed by a U.S. drone strike on August 5, 2009) and his successor Hakimullah Mehsud (killed by a U.S. drone strike on November 1, 2013), for whom members of the group often acted as local enforcers. Tahir Yuldash was himself killed by an American drone strike in Pakistan in 2009. His successor, Abu Usman Adil, developed a relationship with Hakimullah Mehsud and his TTP deputy Waliur Rahman before he was also killed by a U.S. drone strike in April, 2012. The IMU is currently led by Adil’s former deputy, Usman Ghazi. Soon after obtaining its independence from the collapsing Soviet Union in 1991, Tajikistan experienced a devastating civil war from 1992 to 1997 that killed roughly 100,000 people, displaced over a million more and provoked the loss of most of Tajikistan’s ethnic Russian and European population, which formed much of the country’s professional and administrative classes. The war pitted ethnic groups from the Garm and Gorno-Badakhshan regions who felt they were underrepresented in the regime of President Rahmon Nabiyev against groups from the Leninabad and Kulyab regions that had formed most of the ruling elite under Soviet rule. The disparate opposition eventually united under the banner of the United Tajik Opposition (UTO), an awkward coalition of liberal democrats and Islamists. 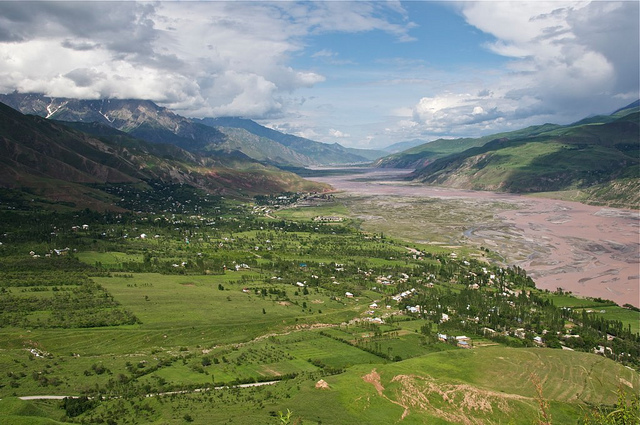 By 1993 the Garmi and allied Pamiri Isma’ili Shi’a opposition forces were suffering from serious reverses on the battlefield and a violent campaign by government forces determined to drive Garmi and Pamiri civilians from Tajikistan. Both Garmi and Pamiri civilians and Islamist fighters took refuge across the border in Afghanistan, where the Islamist fighters received arms and assistance from ethnic Tajik Ahmad Shah Massoud, leader of the Northern Alliance military forces. The fighters also received religious training in Pakistan and Afghanistan. The Tajik Civil War has often been characterized as an Islamist-led rebellion against the central government, though there were other elements behind the violence that had more to do with tribal and regional rivalries than with religious observance. According to journalist Igor Rotar, who covered the struggle for Nezavisimaya Gazeta, “even the combatants themselves admit that the civil war was not so much a political struggle as a fight for power between different regional groups of Tajiks, who had not developed into a single nation at the time.”  Since then, however, there has been significant growth in Islamic extremism in northern Tajikistan, but few signs of involvement by external groups such as the IMU or the Afghan Taliban. Tajik authorities have consistently asserted a leading role for the IMU in Tajikistan’s internal armed opposition, despite strong indications that the 2009-2011 fighting had far more to do with that nation’s tribal rivalries and internal political competition than with a Central Asian jihad. Dushanbe clearly prefers to suggest that its political violence is solely the result of the machinations of international jihadists rather than admit to continuing difficulties in creating a stable state while failing to establish a national purpose or identity that would subsume deep-set political and tribal rivalries. Ruttig goes on to point out that much of the activity described as IMU/Taliban penetrations along Tajikistan’s borders is actually related to smuggling rather than jihad. Any IMU effort to insert itself operationally into Tajikistan will be countered by the presence of the Russian 201st Motorized Rifle Division, permanently based in Tajikistan where it has been responsible for guarding the border with Afghanistan against militant incursions since 2001. In recent years there is greater evidence for the out movement of Tajik extremists taking refuge in Afghanistan than for an inflow of Taliban militants. Nonetheless, Tajik authorities continue to cite an al-Qaeda-assisted IMU revival in Tajikistan in league with Tajik dissidents who would otherwise seem to present only a minimal threat to the Tajik state. Presenting its troubles in the framework of the “war on terrorism” allows the Dushanbe government to avoid discussions of official nepotism, corruption and inefficiency as factors causing unrest in the country. The IMU has attempted to draw on European sources for financial contributions and recruitment, particularly amongst the Turkish diaspora community. In May 2008, Dutch, French and German police announced the break-up of a financial support network run by ethnic-Turks. The IMU has also produced German-language recruitment videos, which have had some limited success. The IMU has successfully recruited a number of German nationals, including Bekkay Harrach, a cell leader born in Morocco and the brothers Mounir and Yasin Chowka. Another important connection between the Central Asian jihad and Europe was established by the Islamic Jihad Union (IJU). The IJU split from the IMU in 2002, led by two ethnic Uzbeks, Najmiddin Jalolov and Suhail Buranov. While sharing the IMU’s goal of deposing the Karimov regime in Uzbekistan, the movement quickly displayed a more global approach to its jihad, growing close to core al-Qaeda and focusing its activities on attacks against U.S. and ISAF forces in Afghanistan from bases in the north-west frontier region of Afghanistan and recruiting members from the West, especially Germany. Using the name Jama’at al-Jihad al-Islami, the group claimed responsibility for a series of attacks in Uzbekistan in 2004, though the Tashkent government claimed the attacks were the work of Hizb ut-Tahri and the IMU. Despite its Palestinian/Jordanian origins and London headquarters, the Central Asian branch of the Hizb ut-Tahrir (HuT) movement appears to be a largely localized phenomenon, with affiliates operating with various degrees of success in most of the Central Asian nations. The movement’s international resources are well-deployed in the production of videos and internet communications, but within Central Asia, where technological resources are still in short supply, the movement relies on locally photo-copied leaflets (shabnama – “night letters”) and posters. Though HuT advocates the establishment of a Central Asian caliphate (as the precursor to a global caliphate) and the full implementation of Shari’a through solely peaceful means, it is consistently treated as a militant group by authorities who regard its radical political message as being at least as dangerous as any armed group. Central Asian rulers are mindful of the example of the Askar Akayev regime in Kyrgyzstan, which was overthrown by political protests in the 2005 “Tulip Revolution” rather than by militant groups like the IMU, who have criticized the HuT’s passive approach to political change. The outlawed movement’s cell structure and attention to security makes it particularly difficult to infiltrate, adding another layer of concern for authorities. The harshness with which local authoritarian regimes have dealt with suspected HuT members has in turn helped convince these regimes that the movement will eventually respond with violence. While HuT’s activities do not bear the enormous costs associated with mounting an armed rebellion, the sources of its financing remain obscure, though the existing literature on the movement contains the usual but vague references to Islamic charities and private donors in the Gulf States (which include a substantial Uzbek diaspora population). After dismantling an “HuT network,” Kazakh authorities claimed the operation had “helped dismantle routes that were used to deliver books promoting extremism and money from abroad.”  Despite repression, the group has managed to survive, though its activities remain largely limited to the distribution of Islamist and pro-Caliphate literature. In 2012, Kazakhstan attempted to disrupt the movement’s activities by expelling or fining 205 Jama’at missionaries on the grounds that religious activities by unregistered organizations were prohibited. The movement is also banned in Uzbekistan and Turkmenistan, partly because of the theory that the organization acts as a “gateway” to radicalization and eventual militant activity, based on the examples of a number of militants killed or captured worldwide who were former members of the Jama’at, which has at least 100 million members in 213 countries. Despite significant global resources, the movement’s non-political stance makes it difficult to mobilize against government repression. There are no signs at the moment that the Tablighi Jama’at intends to engage in militant activities in Central Asia. Uzbekistan’s President Karimov has warned of “an increased threat of the expansion of terrorist and extremist activities” in his nation following the 2014 withdrawal of U.S. and ISAF forces, while Tajik President Rahmon has warned of growing threats from Afghanistan due to Tajikistan’s “weak military situation” and need for modern military equipment. Various Russian sources have similarly predicted that Russian troops in Tajikistan might come under fire from the Afghan Taliban after the US withdrawal from Afghanistan in 2014. Attacks by Islamist militants in Uzbekistan have become rare in recent years, partly as the result of a relentless government campaign against any activity that remotely resembles any form of religious extremism. Security services have cast a wide net in their search for militants and there are numerous reports from human-rights organizations that detention can mean severe treatment and even death. Uzbekistan’s national security service, the Milliy Havfsizlik Hizmati (MHH), has even gone so far as to issue a warning in November 2011 to Uzbekistan’s writers, artists, dramatists and filmmakers to avoid the use of any kind of religious theme in their works. At this point, the IMU has clearly shifted its focus from Uzbekistan and the other nations of Central Asia to a new role, created through a decade of effective integration, as a largely locally-recruited militia deeply engaged in the tribal politics of the Afghan-FATA frontier region. Despite numerous external claims that the IMU will head back to Central Asia to carry out new, state-threatening operations, the IMU itself has of yet given no indication of such intentions. Since relatively little is known about the discussions taking place within the IMU’s increasingly reclusive leadership, the possibility of an IMU incursion must still be regarded as a possibility, if an unlikely one. The IMU has shown itself incapable of even resisting tribal militias in South Waziristan, which does not hold promise for any IMU effort to vanquish state security forces in Uzbekistan or elsewhere in Central Asia. A Taliban offensive into Central Asia following the withdrawal of Western forces (or an IMU offensive backed by the Taliban) would not only jeopardize the gains made by the movement in over a decade of bitter fighting, but would also bring it into almost immediate conflict with China and Russia, nations that have prepared for such an eventuality and that do not rely on the long and vulnerable supply lines of U.S. and ISAF forces in Afghanistan. Predictions of a Taliban overspill into Central Asia from a post-occupation Afghanistan depend greatly upon assumptions that Afghanistan’s Pashtun community harbors a previously unexpressed desire to expand into its northern neighbors or that the Taliban leadership learned nothing from its 2011 experience and is set on repeating behavior that will lead quickly to its annihilation. The Afghan Taliban have taken little action to disrupt the northern distribution network through extra-territorial strikes, preferring to focus instead on disrupting the Karachi to Khyber Pass supply line in league with their TTP allies. If the Afghan Taliban has been reluctant to strike its Central Asian neighbors when it mattered most, this would seem to argue against Taliban aggression after the 2014 withdrawal. Linguistic, ethnic and cultural differences with the Central Asian communities would also complicate an incursion by the largely Pashtun Taliban. All of Central Asia’s militant movements share one element in common: their political ambitions exceed their operational capacity. Syria and, to a lesser extent, Iraq, both provide more favorable grounds for financial contributions from jihad supporters in the Gulf States than Central Asia, with the added enticement to Gulf donors of being similarly Arab in nature. Jihadists are not the only armed groups operating in Central Asia; they may even be smaller in number than trans-national narcotics trafficking groups and smuggling outfits working in the porous and difficult border regions of Central Asia. Many of the reported encounters with “foreign militants” may in reality be clashes with well-armed and highly organized trafficking groups who do not fear small detachments of border guards posted in remote places. The smugglers have at times shown a vicious intent to combat government attempts to interfere with their lucrative activities – in July 2012, suspected tobacco smugglers dragged General Abdullo Nazarov from his car outside the town of Khorog and stabbed him to death, wounding his three bodyguards and driver in the process. General Nazarov was the head of the Tajik State National Security Committee forces in the Gorno-Badakhshan Autonomous Oblast and was directing operations against tobacco smugglers at the time. The region is frequently cited by authorities as a center of Islamist militant activities. The IMU’s long absence from its Central Asian homeland has inhibited its ability to recruit locally and diminished the resonance of its message in the Ferghana Valley and elsewhere. The kind of political and/or religious disturbances that might indicate a welcome return to Central Asia from some elements of the population at large have not materialized. Attrition and desertion have weakened the IMU, which now likely numbers only in the hundreds of fighters rather than thousands, with many of these being locally recruited replacements for more experienced IMU veterans. In the event of an IMU reinsertion into Central Asia, many of these fighters would find themselves on unfamiliar geographical and linguistic terrain. Even surviving Uzbeks of the original IMU have experienced a high degree of social integration in their 13 year stay in Afghanistan and north-west Pakistan and might show some reluctance to leave defenseless families and homes behind to engage in somewhat improbable “invasion” of Central Asia, with or without external support. 2. Igor Rotar, “Under the Green Banner: Islamic Radicals in Russia and the Former Soviet Union,” Religion, State & Society 30(2), June 2002, pp. 89-153. 3. See Ahmed Rashid, Jihad: The Rise of Militant Islam in Central Asia, New Haven: Yale University Press, 2002, pp. 137-40; Bakhtiar Babadzhanov, “Islam in Uzbekistan: From the Struggle for Religious Purity to Political Activism,” Boris Rumer (ed), Central Asia: A Gathering Storm? London: M. E. Sharpe, 2002, pp. 299-330. 8. Amir Mir, “TTP using Uzbeks to conduct terrorist attacks,” The News [Islamabad], December 18, 2012, http://www.thenews.com.pk/Todays-News-2-149025-TTP-using-Uzbeks-to-conduct-terrorist-attacks; “Uzbek militants behind Peshawar Airport attack,” The Nation [Islamabad], December 17, 2012, http://www.nation.com.pk/pakistan-news-newspaper-daily-english-online/national/17-Dec-2012/uzbek-militants-behind-peshawar-airport-attack; See also Christian Bleuer, “Instability in Tajikistan? The Islamic Movement of Uzbekistan and the Afghanistan Factor,” OSCE Academy, 2012, http://www.osceacademy.net/upload/file/bleuer_policy_brief7.pdf . Twelve years of claims by various terrorism “experts” regarding a Chechen military presence in Central Asia, whether as part of IMU, Taliban or al-Qaeda formations, have yet to yield any proof of the existence of these phantom legions of fanatical Chechen extremists. See Brian Glyn Williams, “On the Trail of the ‘Lions of Islam’: Foreign Fighters in Afghanistan and Pakistan, 1980-2010,” Orbis 55(2), 2011, pp. 216-39. 11. Michael Taarnby, Islamist Radicalization in Tajikistan: An Assessment of Current Trends, Korshinos Center for Socio-Political Studies/OSCE Tajikistan, Dushanbe, 2012. 13. RFE/RL Uzbek Service, July 16, 2009; Ferghana.ru, July 16, 2009. 14. Radio Free Europe/Radio Liberty, “IMU Leader Says Group Did Not Kill Former Tajik Minister,” July 16, 2009, http://www.rferl.org/content/IMU_Leader_Says_Group_Did_Not_Kill_Former_Tajik_Minister/1778214.html ; see also Millat [Dushanbe], July 23; al-Jazeera, July 16, 2009; IWPR, July 23, 2009. 15. See Interfax, August 5, 2009; Asia Plus [Dushanbe], July 29, 2009. 16. See Asia-Plus [Dushanbe], July 28, 2009. 17. See RIA Novosti, September 20, 2010; Itar-Tass, September 26, 2010. 18. Roman Kozhevnikov, “Al-Qaeda ally claims Tajik attack, threatens more,” Reuters, September 23, 2010, http://www.reuters.com/article/2010/09/23/us-tajikistan-security-idUSTRE68M28M20100923; See also Radio Liberty Tajik Service, September 23, 2010; Ferghana.ru, September 24, 2010. 19. See Farazh [Dushanbe], September 22, 2010; Chark-i Gardun [Dushanbe], September 22, 2010. 25. Einar Wigen, Islamic Jihad Union: Al-Qaeda’s Key to the Turkic World? Norwegian Defence Research Establishment, 2009. 26. Uzbek – Islomiy Jihod Ittihodi; Arabic – Itiha’ad al-Jihad al-Islami. 33. See Central Asia Online, July 21, 2009; Interfax, August 11, 2009. 37. See Trend.az [Tashkent], January 14, 2013; “President of Tajikistan informs about increasing threats from Afghanistan at CSTO summit,” AKI Press [Bishkek], September 24, 2013, http://www.akipress.com/_en_news.php?id=137484. 40. “Kazakh police warehouse loses more than 100kg marijuana,” Tengri News [Astana], April 15, 2011.